Well, well, well, what do we have here? Are Nokia making a move on some Windows Phones BEFORE October’s Nokia World 2011? There appears to be an event on August 17, just 16 days away. 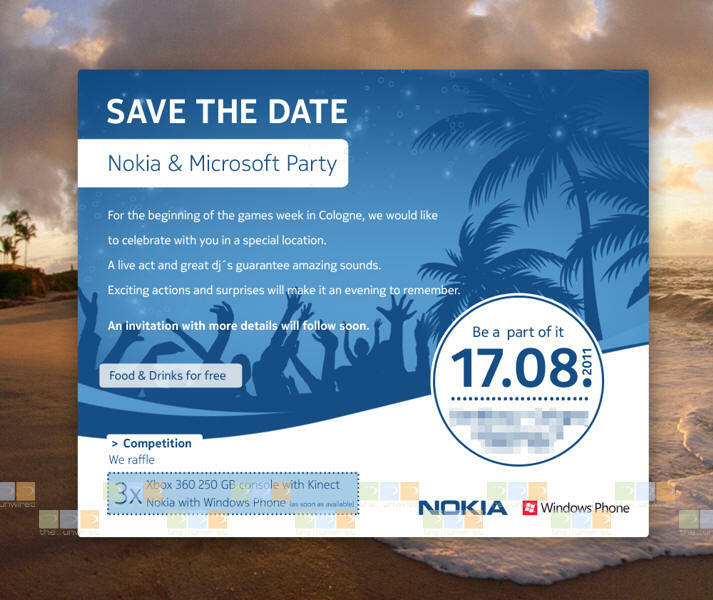 Not just a Nokia event – a Nokia Microsoft party. There’s also a competition to win yourself one of 3 Xbox 360s with a Kinect AND wait a minute a Nokia with Windows PHONE. Note the small print – “as soon as available” :p.
Thanks for the tip, Just Visiting! « Video: 8 minutes with Symbian Belle on the Nokia N8! Runs quite well.